About us: Environment | O'Shanter Development Company Ltd.
O'Shanter has been designated as an "Energy innovator" by Canada's Minister of Natural Resources. Across our portfolio of properties, O'Shanter has initiated energy efficient modifications to our buildings which have resulted in our meeting or exceeding standards set by the Kyoto Accord. We continue to make ongoing improvements in the area of energy conservation. Under our ISO 14001 Environmental Certification we are commited to international standards of environmental control in the operations of our buildings. O'Shanter has pioneered the use of bioremediation in the clean-up of contaminated soil and we are proactive in addressing any environemental issues which arise in our properties within the guidelines set by government. We will strive for containment and prevention of pollution in all of our activities in recognition of Governmental standards. We will instruct our employees, including part time workers, to increase their awareness of potential environmental impacts. O'Shanter Development Company Ltd. is committed to making our buildings cleaner, greener, and more sustainable. As evidenced by being the first ISO 14001 Environmental Management certified property management company in Canada and a member of the Recycling Council of Ontario, O'Shanter is internationally recognized as an industry leader in sustainable environmental management practices. In response to the City of Toronto's 70% waste diversion target, O'Shanter is looking to lead the way in our community by drastically increasing our recycling output. 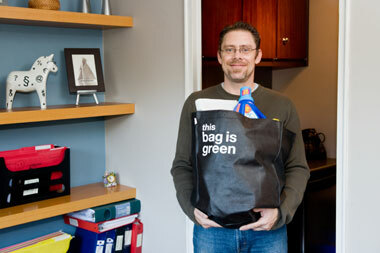 In doing so, O'Shanter is helping the City of Toronto to decrease the amount of Garbage it sends to landfills in Michigan and Northern Ontario. Most of what we throw away is made from products that are slowly running out or cannot be replaced quickly enough because of the amount we consume. Many of the materials we throw in landfill tips have a value and can be used again. Many gardeners use peat as a soil improver. This contributes to the destruction of peat bigs, which are non-renewable habitats for wild flowers and animals. The use of peat is unnecessary because gardeners can make compost from their kitchen and garden waste to use as a soil improver. In addition to saving our peat bogs, composting green waste saves valuable landfill tip space which is running out. Making new goods out of recycled material saves energy. For example, making new aluminium cans from recycled cans uses 20 times less energy than making cans from raw material. Reducing what we use and recycling materials reduces the need to dig up or mine new raw materials, which often damages the surrounding environment. 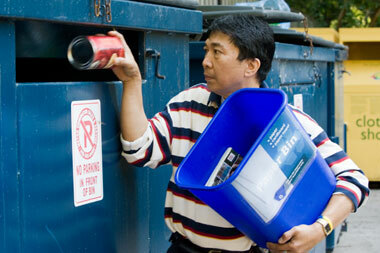 Many charities and community groups raise money through reusing and recycling. Look around your local high street for charity shops to take your unwanted clothes to or be aware of locale groups asking for "jumble". (Scope, Oxfam, and the Salvation Army all have reuse bins in the Borough). Employment can be provided by businesses involving renovation, repair and recycling. Buying recycled goods is vital to provide the market to encourage and promote recycling.